Sentret in game: 6,410 Who? Important notice! Pokemon Sentret is a fictional character of humans. It evolves into Furret starting at level 15. 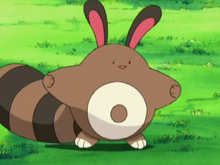 Sentret is a small, furry Pokémon with a big round body, stubby arms, and two small feet. Its fur is light brown, and it has a tail with dark brown stripes that it uses to stand on to see if there is danger nearby. It has long dark brown ears, a white ring on its belly, and white paw pads. While it is capable of standing on its hind legs, it usually moves on all four. Sentret behaves very nervously and cautiously, apparently fearing for its life. It will not sleep alone, and usually sleeps while another of its kind watches for danger. When one sees a predator, it warns the rest in its pack, and they all flee. Sentret can most commonly be found in grasslands. Sentret first appeared in Tanks a Lot!. A young Sentret and Misty's Togepi hi-jacked Team Rocket's Arbo-Tank. Later, the two were rescued by Ash and his friends with the help of the young Sentret's family. Chaz used a Sentret to demonstrate Iron Tail to Ash's Pikachu in All Things Bright and Beautifly!. A Sentret appeared in The Forest Champion!. A Sentret was one of the Pokémon seen at the Pokémon Swap Meet in Tricks of the Trade. A Sentret was one of the Pokémon stolen by Butch and Cassidy in The Fortune Hunters. A Sentret was one of the Pokémon living at Temacu's father's lab in The Heartbreak of Brock. A Sentret appeared in Celebi: Voice of the Forest. 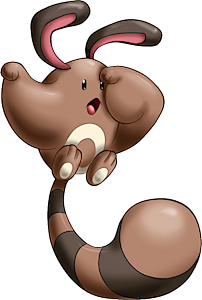 A Sentret was one of the inhabitants of an oasis just for Pokémon in Got Miltank?. It was responsible for scouting the desert around the oasis. A baby Sentret appeared at Mr. Shellby's house in Extreme Pokémon!. A Sentret was seen in the wild in The Legend of Thunder!. Sentret were among the inhabitants of the Dragon Holy Land in Fangs for Nothin' and Great Bowls of Fire!. Three Sentret appeared in Misty's flashback in Gotta Catch Ya Later!. Multiple Sentret appeared in A Bite to Remember. 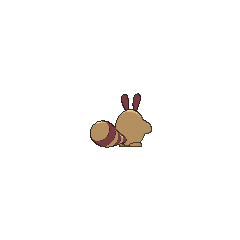 A Sentret was used by one of the students of the Pokémon Trainer's School in Gonna Rule The School!. A group of Sentret, Furret, Altaria, Shroomish, and Swablu helped Pokémon Ranger Jack Walker when he was a young boy in a blizzard as seen in a flashback in Pokémon Ranger and the Temple of Sea. Also, at the beginning of the movie one is shown being saved by Solana from a forest fire. Sentret made a small appearance in the movie The Rise of Darkrai as one of the Pokémon Darkrai hit with a Dark Void. Multiple Sentret made a cameo appearance in Giratina and the Sky Warrior and Arceus and the Jewel of Life. A Coordinator's Sentret appeared in Dressed for Jess Success! competing in the Lilypad Contest. Multiple Sentret made a brief appearance in Coming Full-Festival Circle!. A Sentret appeared in the opening scenes of Zoroark: Master of Illusions. A Sentret appeared in Mewtwo — Prologue to Awakening. A group of Sentret also appeared in Genesect and the Legend Awakened at Pokémon Hills. A Sentret appeared in Kalos, Where Dreams and Adventures Begin!. A Sentret appeared in A Blustery Santalune Gym Battle!. A Trainer's Sentret appeared in A Battle by Any Other Name! participating in the Poké Puff Contest. A Sentret appeared in the book Bonnie was reading in The Clumsy Crier Quiets the Chaos!. A Sentret appeared in A Fashionable Battle!. A Sentret appeared in Pikachu and the Pokémon Music Squad. 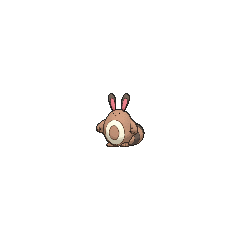 A Sentret appeared in A Full-Strength Battle Surprise!. A Sentret appeared in Seeing the Forest for the Trees!. It reappeared in a flashback in Facing the Needs of the Many! and Till We Compete Again!. A Trainer's Sentret appeared in A League of His Own!. A Sentret appeared during a flashback in Volcanion and the Mechanical Marvel. A Trainer's Sentret appeared in The First Day of the Rest of Your Life!. Three Sentret appeared in Till We Compete Again!, with two of them under the ownership of two different Trainers and one of them being wild. EP133 Sentret Ash's Pokédex Sentret, the Scout Pokémon. Sentret is able to see great distances by rising up on its tail. When it spots an enemy or any kind of danger, it emits a loud, shrill cry as a warning. Sentret debuted in The Legend where two were seen by a tree standing on their tails when Green had finished her message to Silver in Johto. A Sentret seen as a Pokémon under the ownership of Professor Elm in Who Gives a Hoothoot?. Later a Sentret is seen at Earl's Pokémon Academy in Violet City in Slugging It Out With Slugma. Crystal uses it to illustrate the concept of held items, such as Berries, to one of the children. Later in The Last Battle XIII the Sentret from Earl's Pokémon Academy was one of the pokémon sent to help the fight in Ilex Forest. Crystal had also captured a Sentret on her way to Professor Oak's Lab in Three Cheers for Chikorita. Team Rocket was shown to own many Sentret in All About Arceus IX. A Sentret appeared in Pocket Monsters HeartGold & SoulSilver Go! Go! Pokéathlon. A Sentret made an appearance in Demanding Tests at the Pokémon School!. One Sentret figure has been released. Pokémon Mystery Dungeon: Explorers of Sky: In the Special Episode Here Comes Team Charm!, a Sentret appears before Boulder Quarry, convincing Team Charm to go after Team AWD because the latter attacked Sentret and his friends while on an exploration. 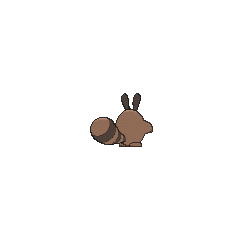 This Sentret is later revealed to be a disguise of Ditto, the guardian of Limestone Cavern. Moves marked with a superscript game abbreviation can only be bred onto Sentret in that game. 51%-100% HP Is it safe? Is it dangerous? All clear! 26%-50% HP Need to be careful. My health is down by half already. The more Sentret in the puzzle area, the more damage. 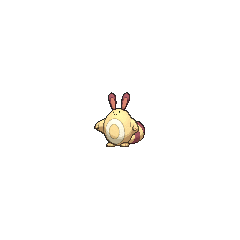 For other sprites and images, please see Sentret images on the Bulbagarden Archives. Sentret shares its category with Patrat. They are both known as the Scout Pokémon. Sentret is the only Pokémon with a base stat total of 215. Despite its name, Sentret's behavior and markings are more similar to meerkats than ferrets. It also shares traits with tanuki, flying squirrels (more specifically, the Japanese giant flying squirrels), and sugar gliders. 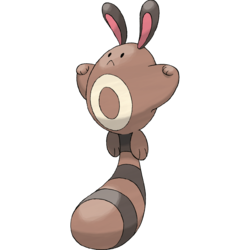 Sentret is a combination of sentry and ferret. Otachi is a combination of 尾 o (tail) and 立つ tatsu (stand) or 鼬 itachi (weasel). Korean 꼬리선 Kkoriseon Derived from 꼬리 kkori and 선 seon. 선 also means standing. Cantonese Chinese 尾立 Méihlahp Literally "Tail stand"
Mandarin Chinese 尾立 Wĕilì Literally "Tail stand"